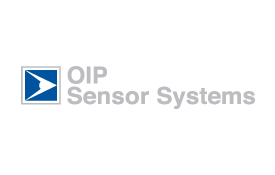 OIP Sensor Systems is the trade name of OIP nv (Optronic Instruments and Products), located in Oudenaarde, Belgium and it employs about 100 persons. Since July 2003, OIP Sensor Systems is part of the ELBIT holding, as a subsidiary of ELOP. OIP nv specializes in design, development and production of highend electro optical systems. Principal target areas for the company include the defence and space markets. In addition to its wide range of products and systems, OIP nv works closely together with customers to design, develop and manufacture customized products. As a major manufacturer of specialized systems, OIP nv is fully equipped to handle every aspect of design, manufacture, testing and qualification, thereby ensuring that all products exactly match specifications and provide complete customer satisfaction. OIP has been involved for many years in the design, development and manufacture of optomechanical instruments for space applications. A highly experienced team of specialists in optics, mechanics and electronics has successfully developed hardware for several flight missions. OIP has established and maintains a quality control/quality assurance system compliant to the requirements of the BS EN ISO 9001:2000 quality level, including the application ECSSQST20A for space projects. The core activity of the OIP space department is the design and development of optical instruments.